A vast country like Australia attracts millions of people every year. Some come for the business purpose while some visit the country only to explore the exotic beaches and places that it has to offer. Many people who fill Australia visa application form basically want to see, experience and sink into its magnificent views and diverse culture. From Queensland to Western Australia, Tasmania to the Northern Territory, you can always come face to face with panoramic views that are always on display. 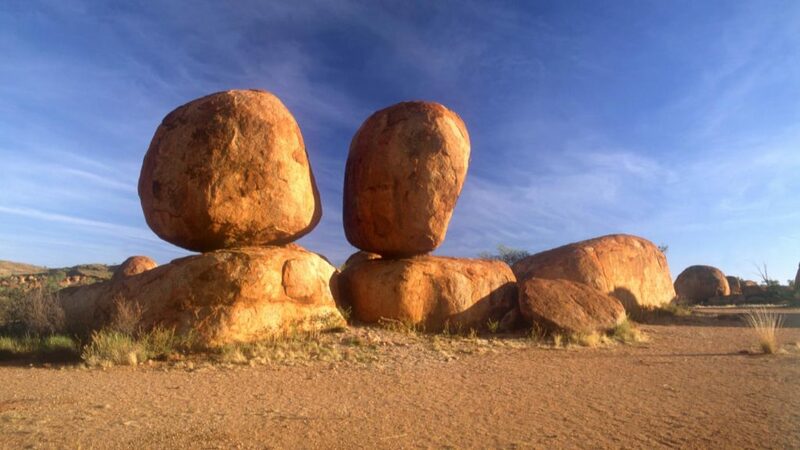 DEVILS MARBLES– Located in Karlu Karlu/ Devil Marbles Conservation Reserve, these large granite boulders are gravity defying rock formations that are shaped by weather and erosion. Mysteriously balanced on top of each other, some of them are even been slip into two halves by natural forces. The site has a cultural and spiritual significance to the aboriginal owners of the land which makes it even more special. 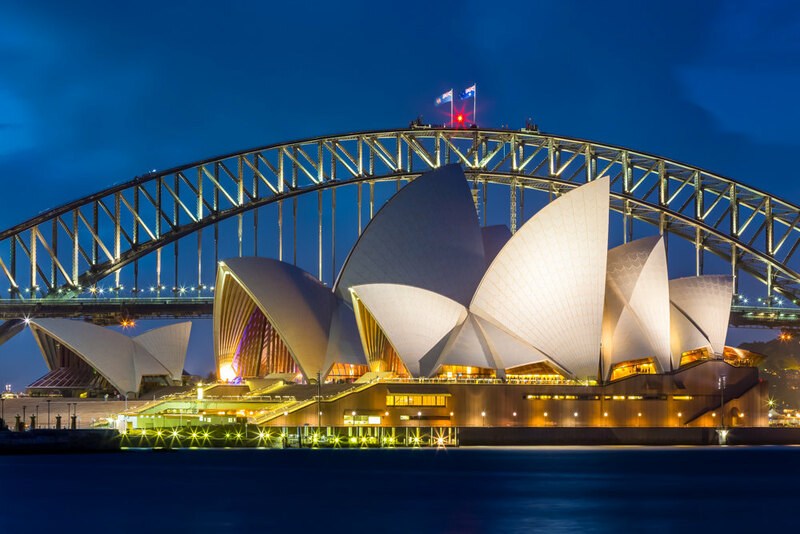 SYDNEY HARBOUR & CIRCULAR QUAY– Best experienced from a birds eye, if you have the nerve to climb 143metres above the sea level to the top of the Sydney Harbor Bridge, you can experience the gorgeous view of the Sydney Harbour & Circular Quay. Climbing may be hard, but the stunning view that you get as reward is worth it. This is why you must fill Australia visa application form in time to get visa approval. 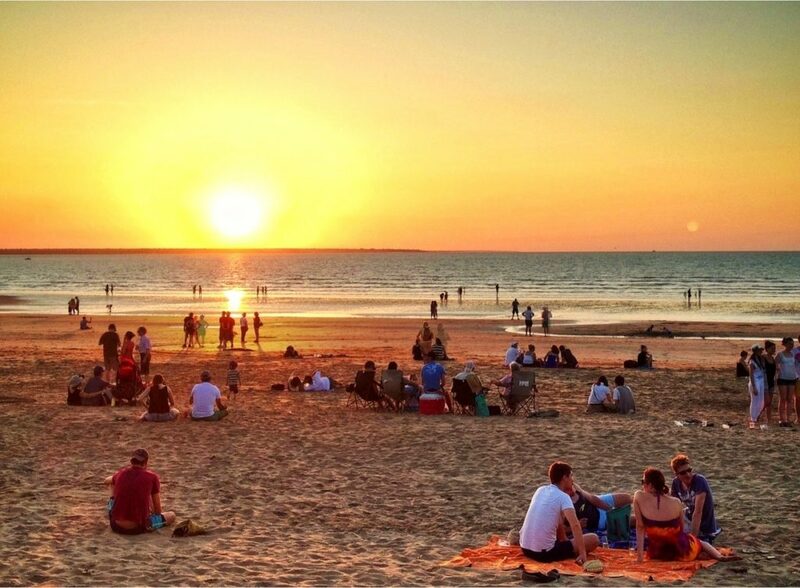 SUNSET AT MINDIL BEACH, DARWIN– As the sun dips at the Arafura Sea to take a nap, one can watch one of the most spectacular sunsets at the Darwin`s Mindil Beach. The sky turns all the more alluring as the striking hues of orange, blue, pink and purple paint the sky every night along with palm trees swaying in the breeze. You can enjoy crazy festive nightlife from April to October under the gorgeous view of the night. 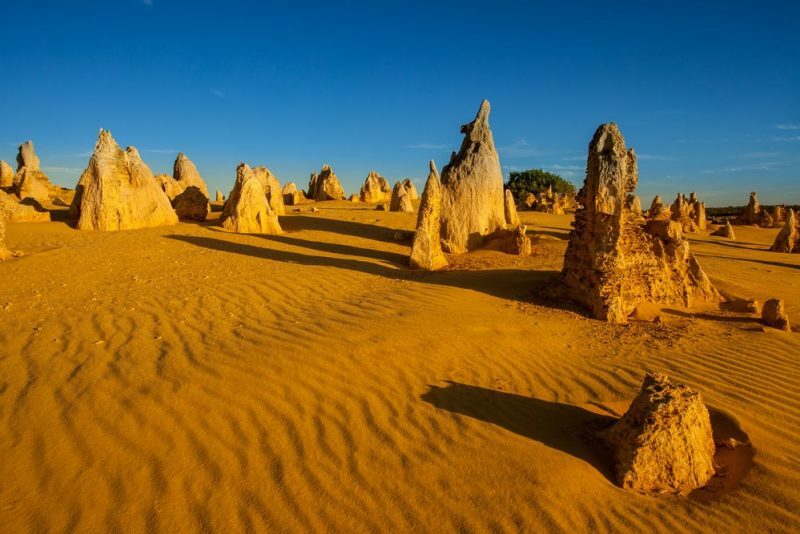 THE PINNACLES, WESTERN AUSTRALIA- The limestones formations that are called The Pinnacles are eerily beautiful and located in Western Australia`s Nambung National Park. They are said to be formed from the sea shells which were broken down into limestone sand which blew inland forming the dunes that showcases a majestic scene today. 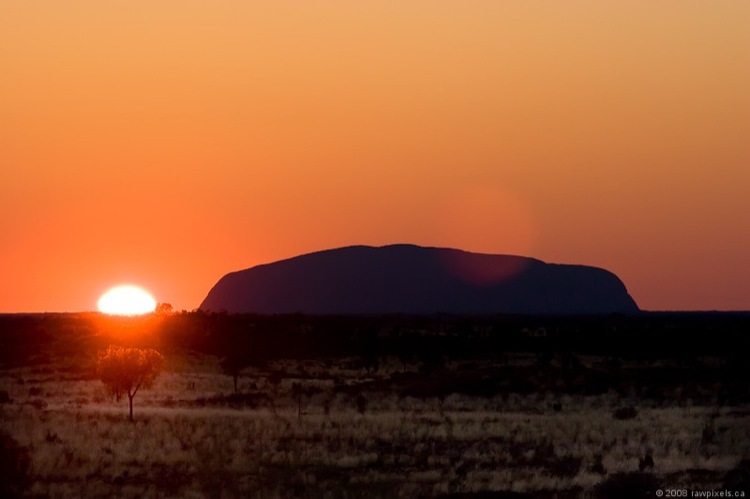 ULURU AT SUNRISE, AYER`S ROCK– Sunrise when experienced from an exponential place can be really majestic. But it can prove to be magical if you be present to witness as the first ray of sun hits the big red rock as the dawn breaks. Uluru holds a great spiritual significance to the Aboriginal people of the area and it`s well worth to visit this place to see the psychedelic color changing of this gigantic rock over the course of the day. These 5 places in Australia can surely provide you breath-taking views along with lots of mystic stories surrounding them. Do visit them by keeping your passports and visa ready. You can now apply by for visa by filling Australia visa application form online by visiting our website www.australiae-visa.com. Apply now! Find Out Which Australian City Is Best For You? 4 Places That Make Australia an Absolutely Beautiful Country!